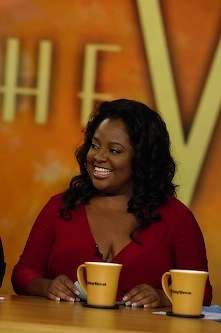 Steve Martin gets a medal; Sherri Shepherd gets a chair. 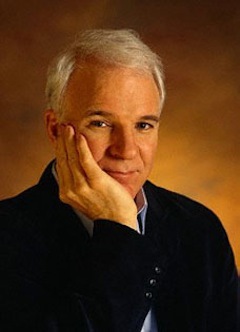 ***Comedian/actor Steve Martin, Beach Boys guru Brian Wilson and diva Diana Ross are among the latest quintet of Kennedy Center Honor recipients. They'll be joined by director Martin Scorsese and pianist Leon Fleisher at the 30th annual ceremony on Dec. 2nd in Washington, D.C. CBS will televise the event on Dec. 26th. ***As fully expected, Barbara Walters has tabbed actress/comic Sherri Shepherd (Beauty Shop) to join The View as a full-time panelist. Shepherd already has guested 23 times. "She is irreverent, charming, funny and loveable," Walters said in an ABC release. Shepherd joins Walters, fellow newcomer Whoopi Goldberg, and Joy Behar and Elisabeth Hasselbeck on the show, which is in its 11th season.